Well.ca is offering Free Samples with your orders this weekend! 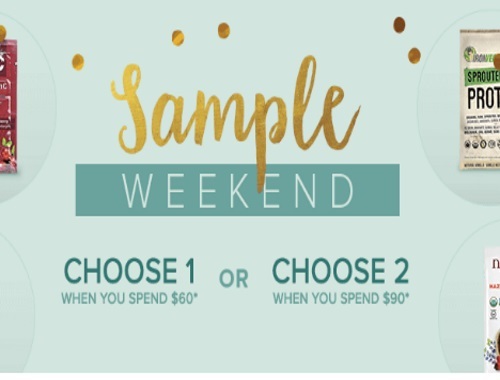 Choose 1 sample when you spend $60 or 2 samples when you spend $90. You will be prompted to add the samples to your cart during checkout. Offer ends November 6, 2016. Also if you're new to Well.ca you can use our exclusive promo code CDDCHRISTMAS to get $10 off any $40 order.